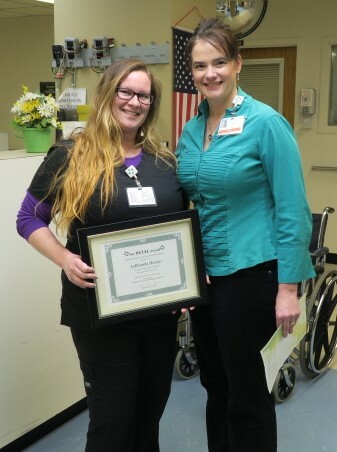 Nicole Page, RN, who works in the hospital’s Obstetrics Department, was the DAISY Award Winner. Nurses recognized as DAISY nominees included Gina Camp, Courtney Kennett, Adam Morrill, and Kylee Niebrugge. 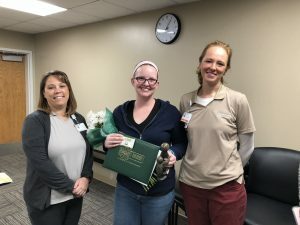 Page was nominated by a patient who deeply appreciated her compassion and care during intense labor pains, noting Page’s encouragement and dedication to stay with her through her ordeal. After delivering, Page helped the new mother with breastfeeding and answered her questions with a smile. 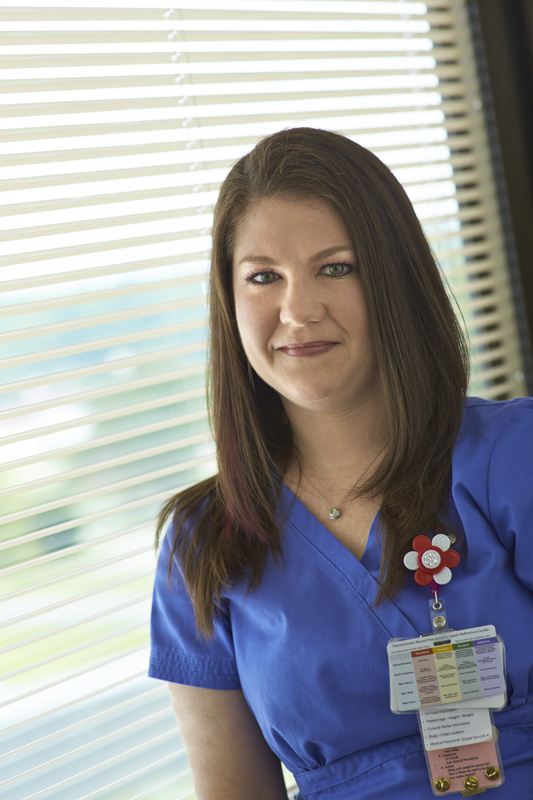 The patient called Page a “rock star” who was not just a nurse, but became a friend. DAISY Award applications will be accepted year-round at the hospital. The nomination form is also available on the hospital’s website, www.GreeneCountyHospital.com. 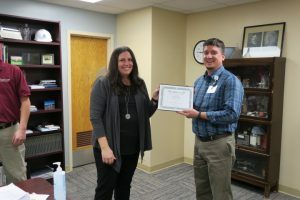 Greene County General Hospital named Patient Care Technician, LaRhonda Henico, as the first PETAL Award winner of 2018. 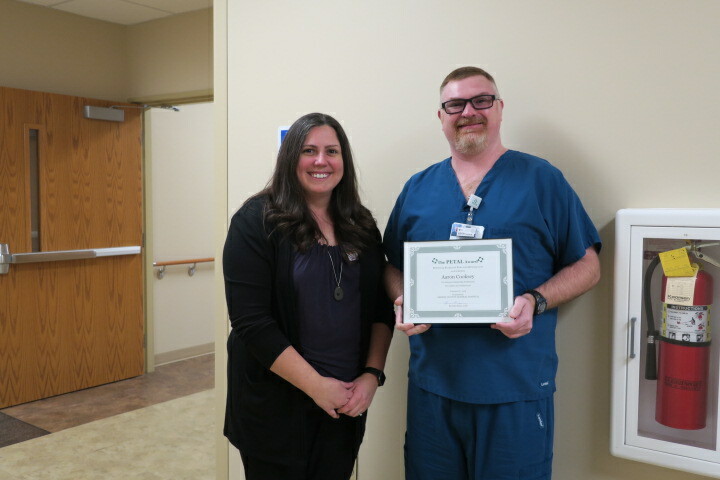 Henico was nominated by a coworker who recognized her consistent, expert care for patients, specifically citing her attention to detail that kept a patient safe during transfer from the Emergency Department to the Med/Surg Unit. 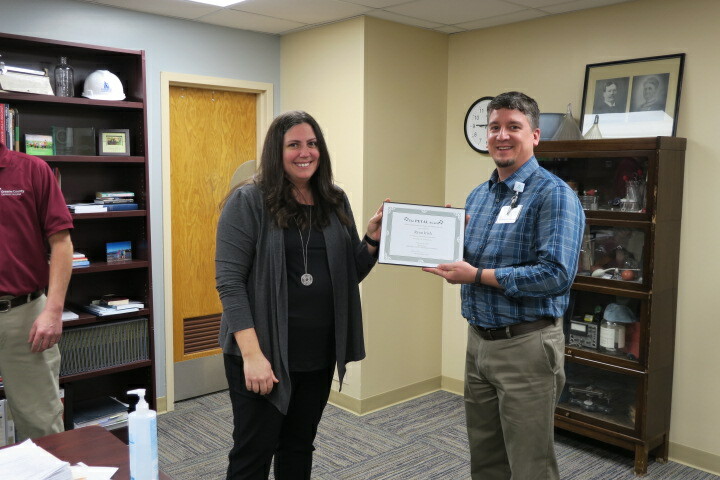 Henico was honored for serving as a trusted resource to nursing staff and other providers. 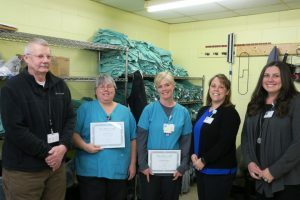 Additional nominations were received for staff throughout the hospital, including Ryan Irish (Compliance), Angel McKinnon (Student Nurse), Aaron Cooksey (Radiology), Katie Ludwig and Debra Hensely (Respiratory Therapy), Laurelann Bredeweg (Business Office), Tabatha Stence and Gerri Jackson (Environmental Services), and Carl Weber (Dietary Services). PETAL stands for Performing Exceptional Tasks and Affirming Lives, and is designed to recognized employees who serve as models to the community for professional achievement. Awards are given for performance, dedication, and diligence in carrying our job duties and advancing the goals and mission of the hospital. Non-nursing staff are honored with the PETAL Award for exceptional employees three times a year. A compliment to the DAISY Award for Extraordinary Nurses, the PETAL Awards were created by Greene County General Hospital in 2015 to recognize the hard work of employees in non-nursing roles, from housekeeping and dietary services to clinical areas. Award winners receive framed certificates, gift cards, and cinnamon rolls for their entire department. 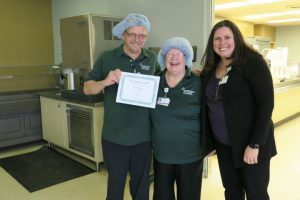 PETAL nominations are accepted on a continual basis, and forms can be found at award stations throughout the hospital as well as on the hospital’s website. 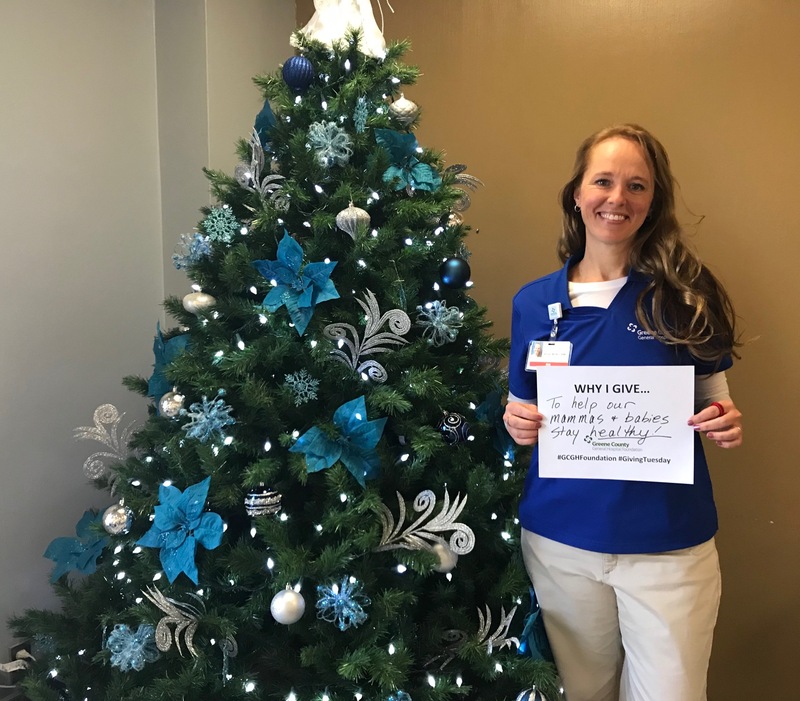 In honor of Cardiac Rehab Week, the team of nurses and respiratory therapists in our Cardiopulmonary Rehabilitation program created a seven-day celebration of heart healthy habits. Hospital Employees and Rehab patients were encouraged to participate in Heartapalooza Bingo. Heart healthy activities like eating veggies and fruit, getting exercise, and cutting sodium intake, earned players a chance for a Bingo prize and an entry into a larger prize drawing. Then there was the big Heartapalooza Showcase on Valentine’s Day. The showcase featured a food-label checker, hula hoop contest, weight and stretching exercises, door prizes, and the ever popular guess-the-number-of-candy-hearts-in-a-jar. It made for a wonderful celebration in the hospital’s conference room, and staff are already planning next year’s showcase. Anyone who has questions about Cardiopulmonary Rehabilitation should check out the hospital’s website, call and talk to our rehab team, or talk to a primary care provider about its many benefits for those dealing with chronic conditions or recovering from health problems. Greene County Home Healthcare serves a variety of patients in Greene and the surrounding Counties. 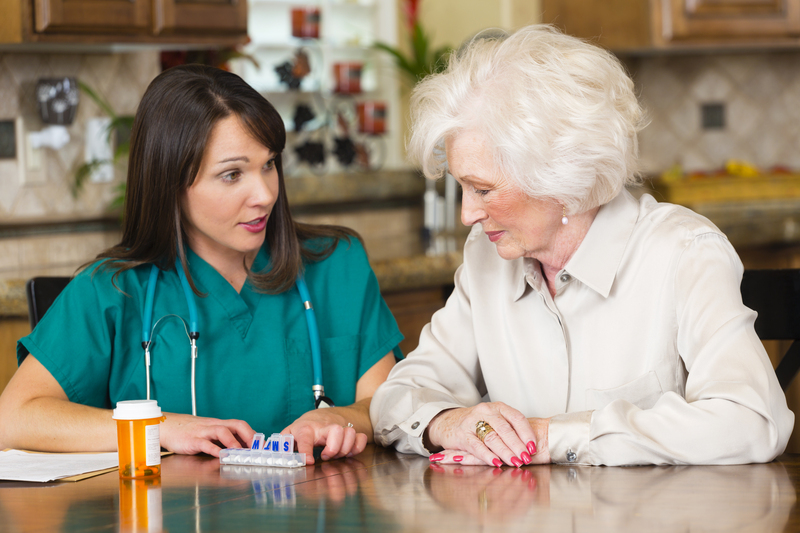 With a physician’s orders, home visits can be made that provide different levels of care. This can include skilled, supportive, or specialty care. Skilled care is clinical care. That means a trained, licensed medical professional is visiting a patient’s home to provide nursing services, physical, occupational, and speech therapy, or social worker services. Supportive care compliments skilled nursing services. Certified Home Healthcare Aides help pateints with hygiene, change dressings, and even assist with exercises. Attendants can provide grooming and other self-care activities that help patients stay at home longer. Caring for an ailing loved one can be extremely stressful, so Greene County Home Healthcare offers respite care. This can last for 3-8 hours and can include skilled care with the exception of therapy services. Learn more on our Home Healthcare page or call (812) 847-9496 with questions. This article is provided for information only and is neither advice nor a substitute for proper medical care. Consult a qualified healthcare professional who understands your particular history for individual concerns. There is nothing sweeter than a new baby. Our labor and delivery nurses have been helping new mamas through the wonders of childbirth since our hospital was built. These days, we welcome new life in a beautiful maternity ward, where women can expect excellent care whether they deliver vaginally or by c-section. Tracy Blanton is an Internationally Certified Lactation Consultant. After the baby is born and the pain of delivery has passed, there is a whole new challenge ahead for mom and baby. How will this little one get the nutrition he or she needs? We know that fed is best, whether its formula or breast milk, and we encourage all new mothers to try breastfeeding. RNs Brooke Driscol and Tabitha Ferree are Certified Lactation Consultants. Breastfeeding has enormous benefits for mother and child, but as natural as it is, it doesn’t always come naturally. That’s why we have a team of Certified Lactation Consultants on staff, ready to help. 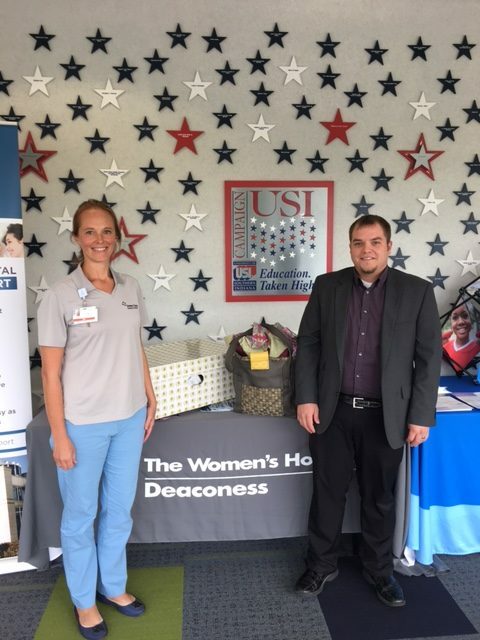 Breastfeeding tips, positions, and benefits are always available when women deliver with our experienced labor and delivery nurses. New mothers can work with maternity nurses who have a passion for breastfeeding and clinical certification to help manage this important new activity. The Hospital even boasts an Internationally Certified consultant. An IBCLC® is certified by the International Board of Lactation Consultant Examiners® (IBLCE®), independently accredited by the National Commission for Certifying Agencies (NCCA) of the Institute for Credentialing Excellence (ICE). These are some seriously heavy credentials, and almost unheard of in a rural hospital. But at Greene County General, we offer access to three certified consultants, all RNs, all experienced and caring. 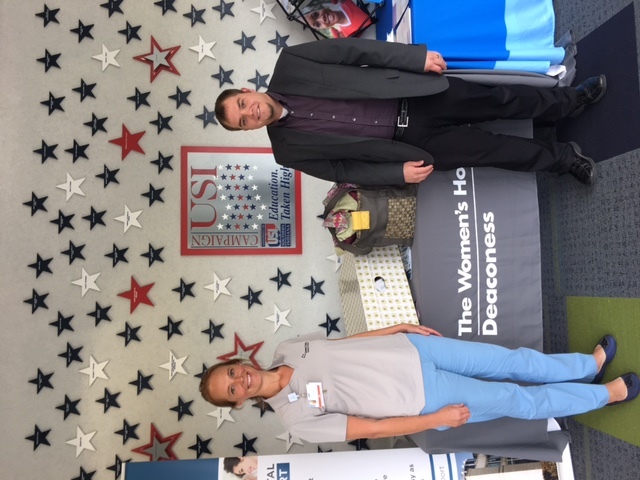 This is a complimentary service we provide to our patients, and we hope it helps ease the transition from pregnancy to mothering a newborn. Learn more and access our online library of breastfeeding materials on our Labor & Delivery page. Charitable Giving Close to Home – it matters! I came across this article, and thought it really hit close to home, literally: Why Give to Small or Local Nonprofit Organizations? The Huffington Post released this article to give the reasons why giving locally matters more than giving to other, larger organizations. I found myself nodding my head in agreement as I read contributor, Jessica Kidd’s perspective. Greene County General Hospital Foundation is 100% local. That means very little overhead and money is going straight from you to the people you care about right here in your community. No big city administrators or international dues. Just real philanthropy. GCGH Foundation knows where every dollar is being spent. Smaller organizations have less money to work with, so donor dollars – and cents – are extremely important to us. That means your money makes a bigger impact on the issues you want to address, or the causes you wish to support. GCGH Foundation is making a difference for the people you know. That neighbor who got a 3D mammogram and was able to take care of a cancer diagnosis before it got out of hand. Those babies who are growing into children – who made it through to thier first birthdays becasue of the Sweet Dreams Baby Bundles program…it’s your money, your community, your power to make a difference right here. As we begin a new year, consider supporting your local non-profits. The GCGH Foundation is a great vehicle to make real change in your community. Not sure what your local not for profit (including the GCGH Foundation) is doing in your community? 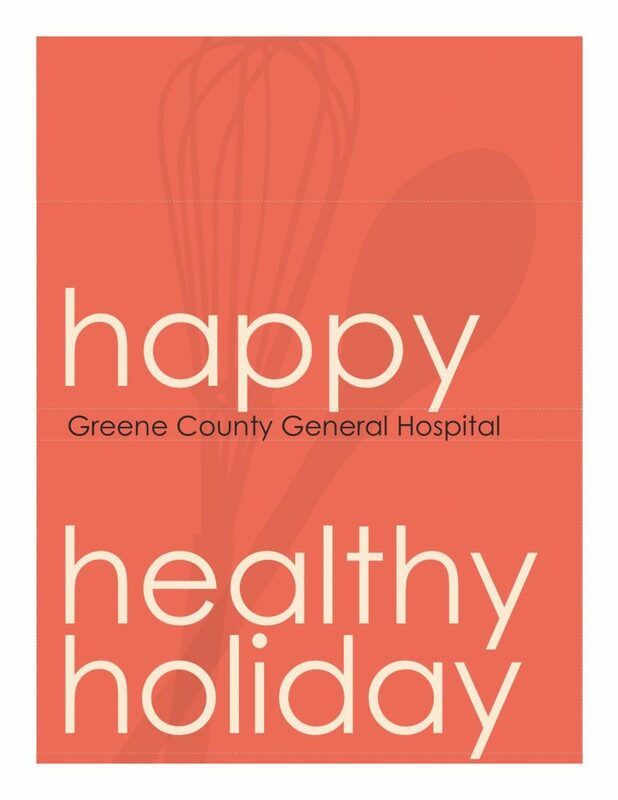 Visit our website at greenecountyhospital.com/foundation or call the Foundation at 812-699-4438. 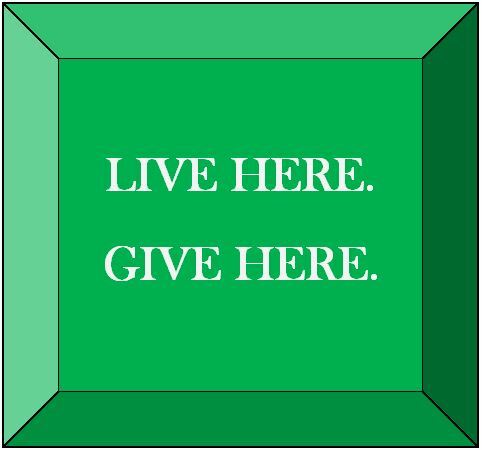 Let’s make 2018 a year of LOCAL Giving. C is for…Clean, Cover, Contain that Flu Bug! Indiana has been trying to dig out of the snow and ice for days now, but we are also trying to find our way through a particularly rough flu season. The Indiana State Department of Health reports 25 influenza-associated deaths already. We’re dealing with a predominant strain that is generally more severe than others, so GCGH, like a lot of other hospitals, has put a visitor restriction in place to help keep infections under control. If you’re not feeling well, and wondering, “do I have the flu?! ?” it might be a good idea to check out the information available from the CDC. There are differences between flu symptoms and cold symptoms. Check it out here. CONTAIN: Stay home! It’s really not you, it’s us…we don’t want to hang out when you are sick. You might be able to work or learn, but if you are contagious, the best thing you can do is stay home and take care of yourself! Extreme weather conditions can make anyone miserable, but our elderly friends and loved ones are especially vulnerable when the temperatures drop and the world is covered in ice. The “wintery mix” we are experiencing now can be dangerous for seniors. If you know or care for an older person, it’s important to help them stay safe and warm. Some things we know make it harder for them – like the older body’s reduced ability to regulate body temperature. But cold weather is even harder when there are chronic health conditions, poor nutrition, or dehydration. There is also a tendency to value frugality over comfort and safety. Many seniors don’t heat their homes adequately so they can save money. 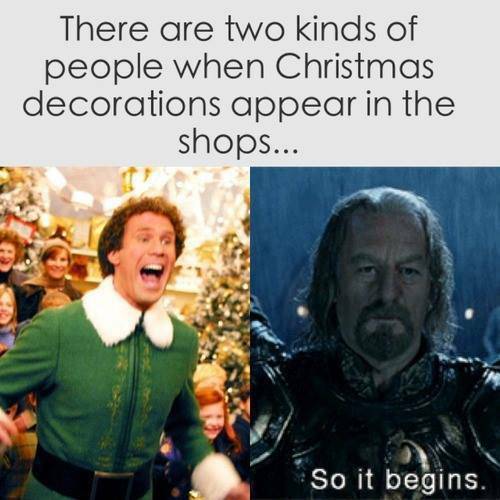 Especially if you know elderly people living alone, get out and check on them. Make sure they are eating enough and drinking water or other hydrating liquids. Try and get them to get up and move around, even if its just doing a few chores. The physical activity can help. Check that they are dressed warmly and have the heat high enough to keep them safe and warm. If you suspect they are dangerously cold or suffering in some way, contact their health care provider. If you have ever tried to quit smoking cold turkey, or gone it alone with a patch or another plan, you know just how hard it can be to kick your tobacco habit. Tobacco products of all kinds are highly addictive. They send a thrill to our pleasure receptors that keeps us coming back for more, meanwhile the rest of the body is left to suffer the side effects of cigarettes, chew, and more. 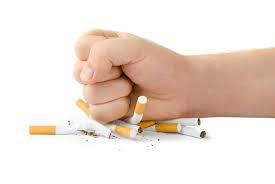 Let us help you break your tobacco habit. If you are ready to be free from tobacco please join us for the next Greene County General Hospital Freedom From Smoking® program. The seven-week program includes group discussion, interactive activities, and free nicotine replacement therapy. You will learn how to develop a “quit-plan” that addresses your own personal behaviors and habits in a relaxed atmosphere. You won’t be alone, and you won’t be trying to quit cold turkey. This is a proven plan that will help you get rid of a toxic habit for good. If you use tobacco and you are ready to quit we hope to see you on January 15th at 5:00 p.m. at Greene County General Hospital in the Violet Newton Conference Room – that’s on the ground floor of the hospital. If you have friends or family members that are ready to quit they are welcome also! Every wonder what the difference is between physical and occupational therapy? It’s been said that physical therapy will get you up and walking, while occupational therapy will make sure you aren’t walking without your shoes and coat. That’s right, a big part of occupational therapy is helping people recover the basic movement of life. Just think about all the movement required to put on a coat, button or zip it up, slip into shoes or tie them. So many joints and muscles make it possible to do even the simplest tasks. After a rotator cuff surgery, for example, it takes occupational therapy to get that shoulder joint back into regular action. Try putting a coat or jacket on without the ability to rotate your shoulder back and around. You’ll need plenty of help! But a good Occupational Therapist can work with you to regain your range of motion and manage pain. If you follow your therapist’s instructions, you can enjoy the quality of life your surgeon knew would be possible after your procedure. That’s just one of the many ways people can benefit from therapy. Thankfully, we are blessed with the best right here at home. Contact Greene County General Hospital’s Therapy Services to learn more and schedule you session so you don’t have to worry about taking a walk without your shoes and coat! What happens after a knee injury? Whether it’s an athletic tear or some kind of trauma, the best chance anyone has for complete recovery after injury is quick medical care. Thankfully, there are many therapeutic treatments that can restore the knee to health. 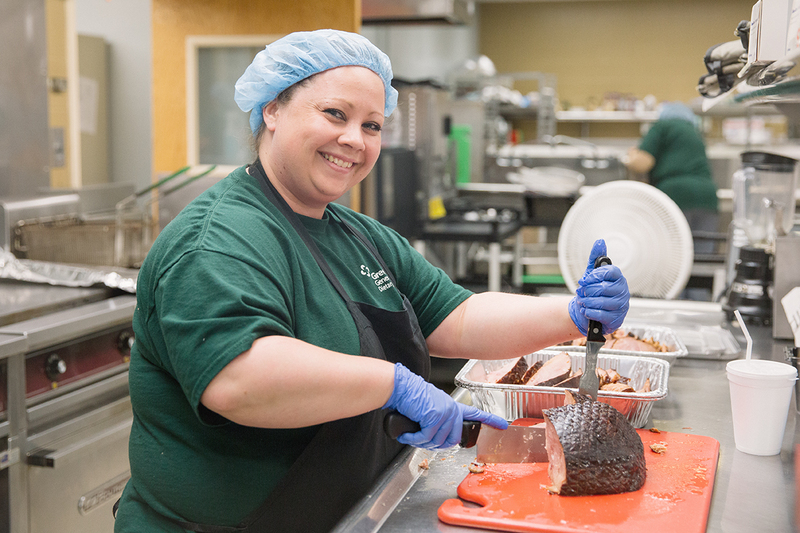 (And, you guessed it, we have the best right here at Greene County General!) The key is usually getting treatment as soon as possible. For minor injuries that don’t require surgery, a good word to remember is RICE: rest, ice, compression, and elevation (RICE). Resting the knee gives it time to heal; ice controls swelling if used 2-3 times a day for about 20 minutes; compressing the injury reduces swelling (therapists can help make sure it is not too tight); and elevating the knee whenever possible is recommended. Above all, the way you treat your knees every day will determine how they treat you. Any suspected injury should be assessed by a health care provider as soon as possible so an effective course of treatment can be identified. If therapy is needed, you can rely on the Therapy Services at GCGH to get you back to feeling great. Not everyone is excited about the change in seasons. 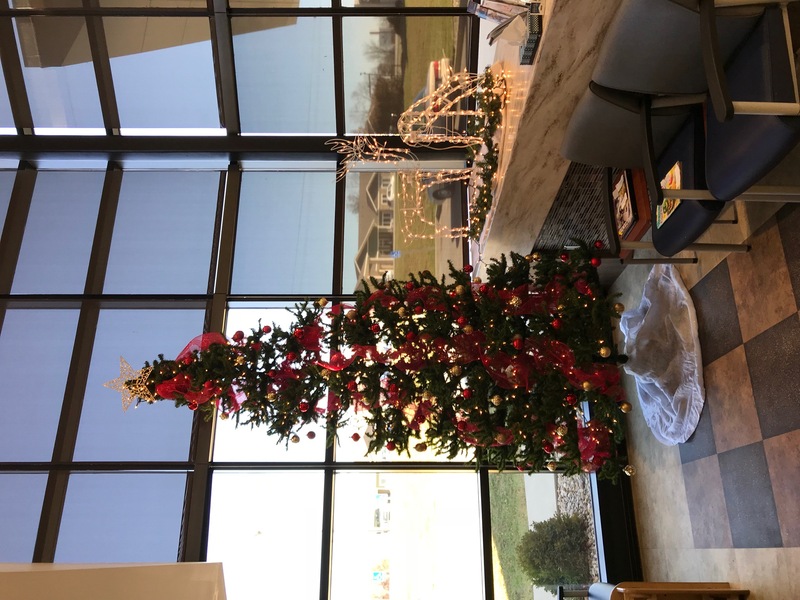 We may be happy to celebrate the holidays, but many of our friends and family struggle with a condition known as Seasonal Affective Disorder (SAD), or the winter blues. In Indiana, when the sky turns gray and the ground turns brown, the lack of sunlight makes our brains work overtime producing melatonin, the hormone that regulates our sleep patterns. To ease those SAD feelings, be sure to get as much sunlight as possible. Even if it’s cold, get outside and let your face feel what sunlight is available. 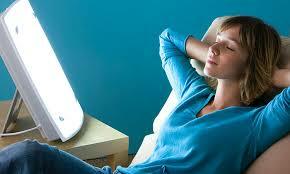 But if there just isn’t enough of the natural rays, look for an artificial sunbox to keep at home. These devices have special fluorescent tubes that mimic sunlight. Use it for 30 minutes every morning to trigger your body’s wakeful hormones and fight back those winter blues. Greene County General Hospital has implemented a temporary visitor restriction after multiple confirmed cases of influenza. The restrictions will protect patients, staff, and visitors from unnecessary exposure to the highly contagious respiratory virus. In addition, all visitors are asked to wash or sanitize hands frequently while at the hospital. Hand sanitizer dispensers are available throughout the hospital, in patient rooms, and in restrooms. Hand hygiene is the best and easiest way to control infection, whether at the hospital, or at home. A video showing effective hand hygiene is available below. All GCGH employees receive a mandatory, annual flu vaccine to protect patients and staff. Anyone who has not received a flu vaccine can still benefit from its protection. Flu shots are accessible at primary care physician offices, drug stores, and the Greene County Health Department. A list of primary care providers is available HERE. If you are thinking about your New Year’s resolutions, and they have anything to do with your health, then let’s talk. Goal setting is great, and writing things down is a proven way to help you stay motivated. But when it comes to chronic health conditions, sometimes even the best of us need a little help. That’s where a health coach can come in handy. We recently had an opportunity to sit down with the good folks at Healthcare Business Insights – a group that provides research on best practices in health care from analytics to networking. They chose GCGH for their recent article on Chronic Care Management programs, and our program manager Teresa Hutton and CEO Brenda Reetz were able to tell them our story. We hope you’ll enjoy reading about what we are doing with CCM, and if you have any questions about signing up to work with a health coach, shoot an email over to CCM@mygcgh.org. The Flu is HERE…Wash Your Hands! Confirmed cases of the highly contagious flu virus have been reported in Greene County – not the Christmas gift we were hoping for, and one we hope isn’t shared any more! First and foremost, if you haven’t gotten your flu shot – it’s time. Get your shot to protect yourself, the elderly, the very young, pregnant women. Hey, let’s just say, do it for everyone! Not only is the flu a pretty horrible experience, it can be deadly. There has already been a confirmed flu death in the state this season. So, it’s more important than ever that we do what we can to prevent further infection. How you say? Simply by good, thorough hand washing. Here’s a quick, easy tutorial to make sure you’re really gettting all the goo, gunk, and germs off your hands so they can be used to celebrate not contaminate! 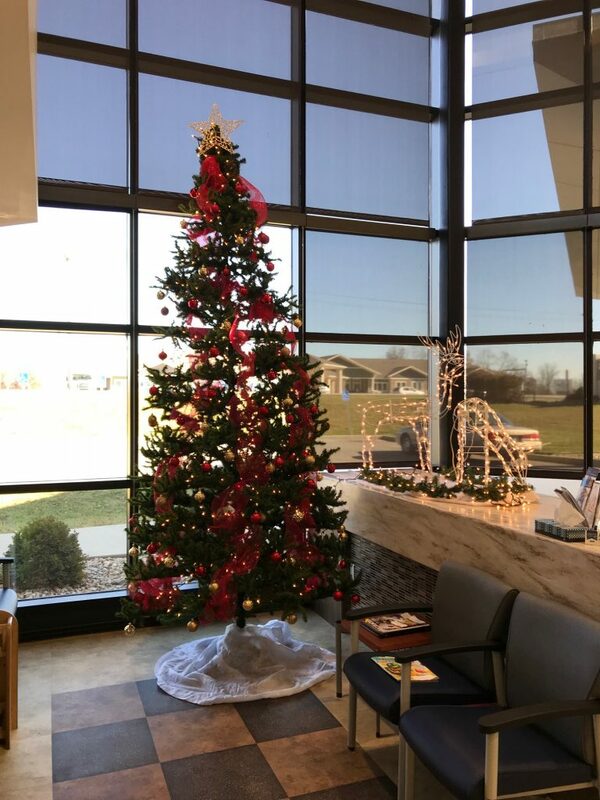 It’s Christmas time at Greene County General Hospital. 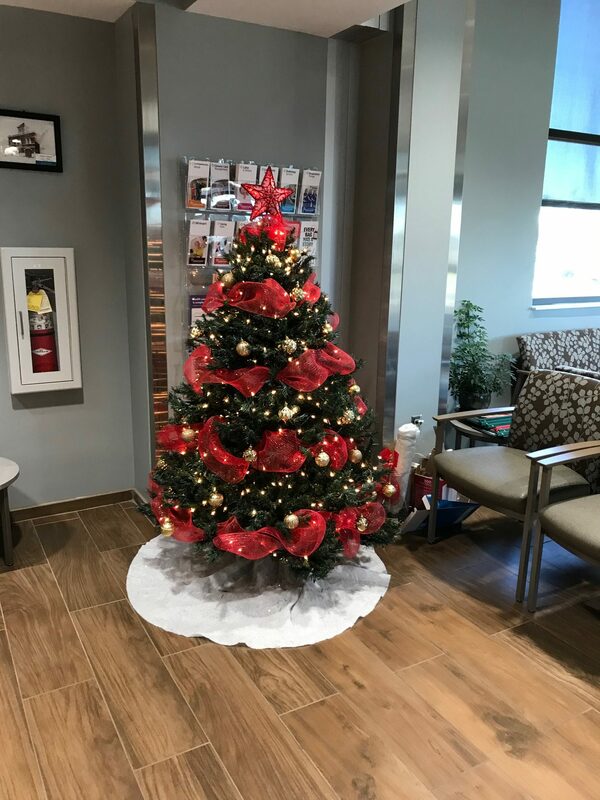 We’ve been decking the halls…if you need to visit our Emergency Department, have blood drawn at our Outpatient Laboratory, or are waiting outside our Gift Shop, you’ll see beautiful red and gold trees on display. We hope you enjoy. Fifteen-feet of Christmas cheer and a couple of Santa’s best reindeer are making our ER lobby festive this year. 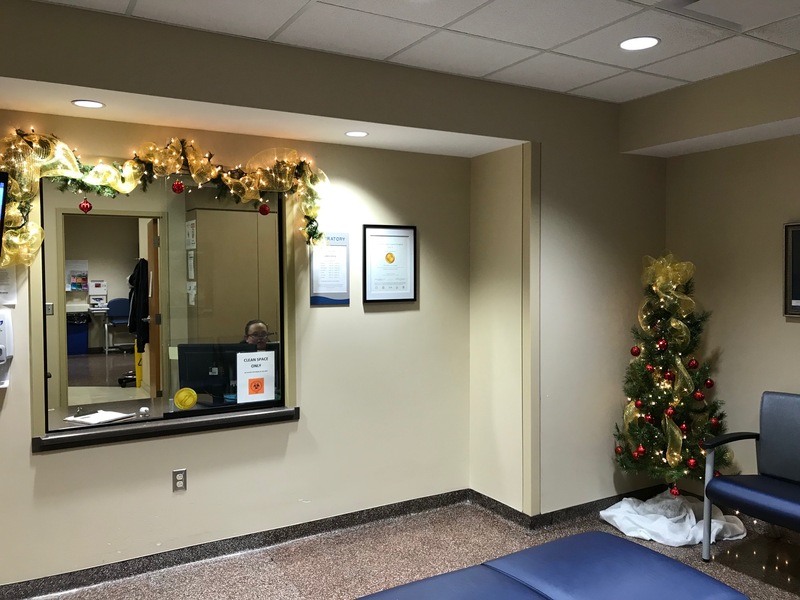 Warm gold ribbon and white lights are twinkling in the Outpatient Lab waiting room. Enjoy this red-ribboned beauty outside our Gift Shop in the Main Lobby. We all know Black Friday and Cyber Monday. The deals are worth braving the crowds the day after Thanksgiving, or setting aside our lunch hours to shop online when the workweek starts again. But Giving Tuesday is a relatively new addition to the holiday line up of special spending opportunities. This one isn’t about prepping for Christmas morning or saving money while you shop, it’s about philanthropy and giving to the organizations that are making a difference in our communities. 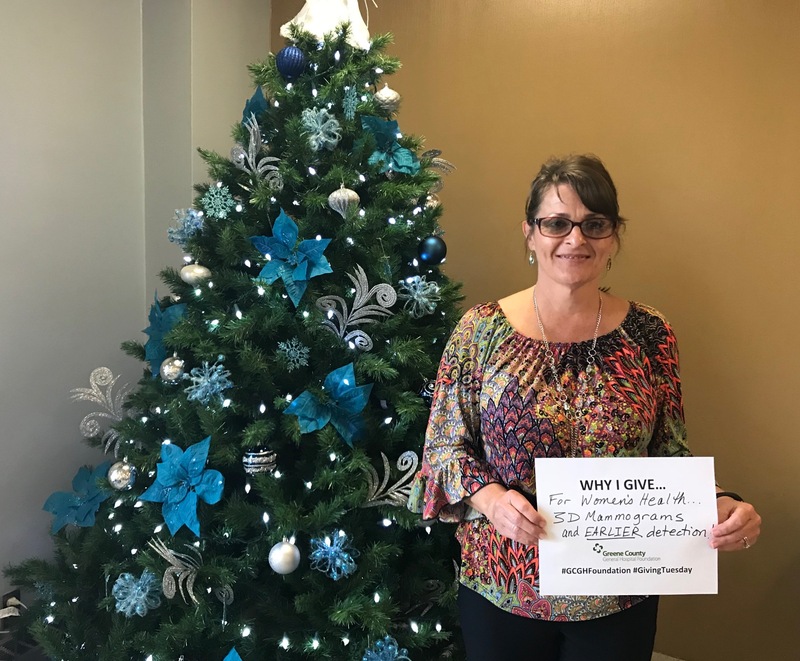 Our Greene County General Hospital Foundation was blessed by the giving of employees, friends, and nieghboors this year, and in case you missed our Facebook feed on Tuesday, we wanted to make sure you saw some of our smiling staff sharing why they give. Kelsey Schilt gives to make people smile! 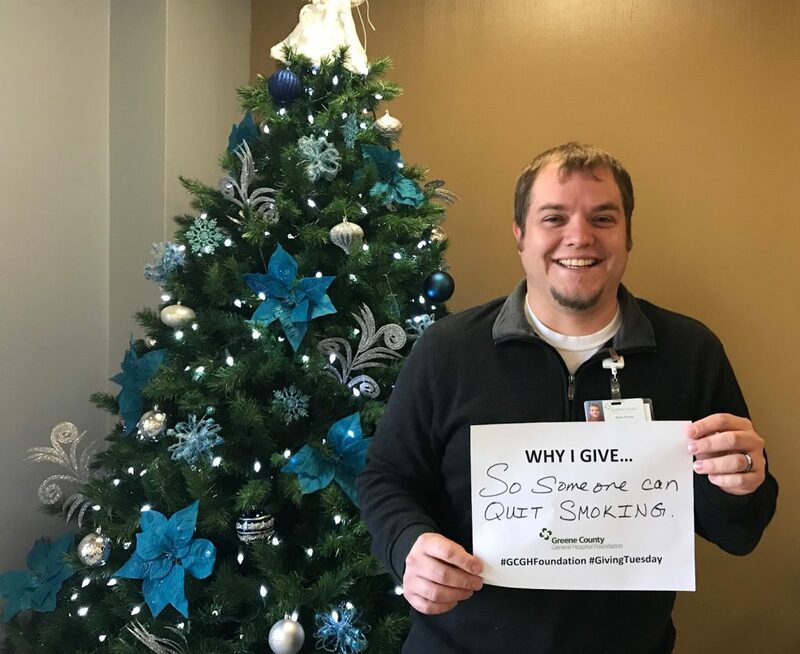 Kyle Cross gives to support smoking cessation classes. Amy Lore gives to help fund grief support groups. Wendy Spurlin gives to help women access 3D mammogram services. 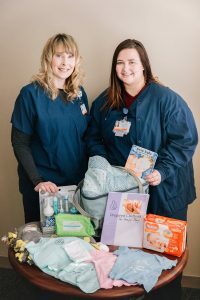 Anna Telligman gives to support the Sweet Dreams Baby Bundles program. They say there are two kinds of people in this world: those who start celebrating Christmas at 12:01 am on November 1st, and those…who don’t. The good news for holiday traditionalists and year-round merry-makers alike, is that November can still bring us all together in an attitude of gratitude and generosity. 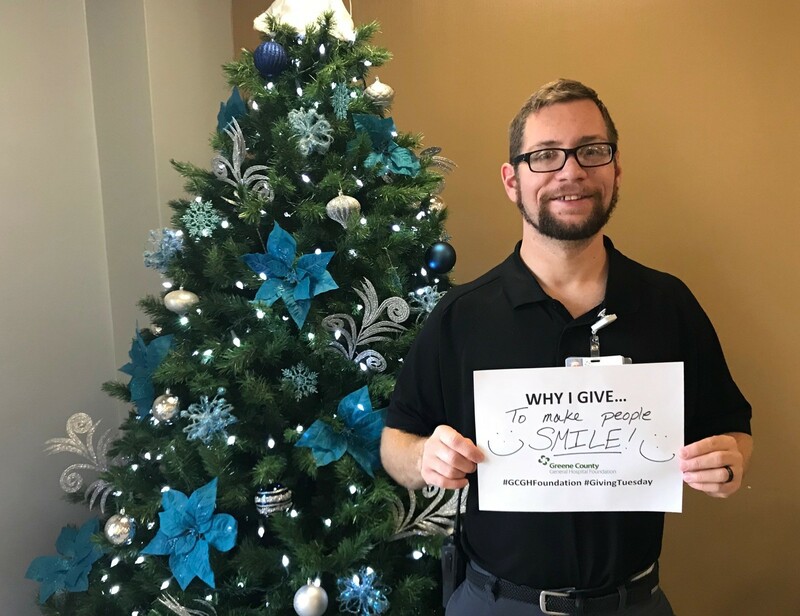 So what are we grateful for at Greene County General Hospital? LOTS of things…new baby smell, the bacon in the cafeteria every morning, new employees, generous staff members, did we mention the bacon in the cafeteria? 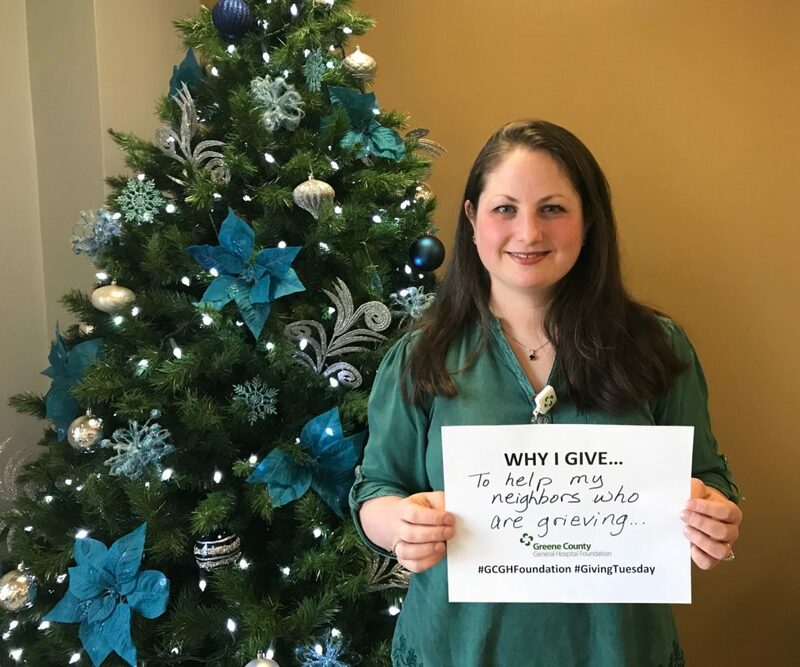 There are too many to count, but we happen to be thinking a lot about our staff members who have been making regular donations to our GCGH Foundation this year. These are special people, and they are giving even more of themselves than their jobs require of them, funding smoking cessation classes, grief support groups, the Sweet Dreams Baby Bundles program, 3D mammograms – and so much more. We are so thankful for employees who have donated more than $6,000 this year, from their hearts and their pocketbooks. That’s what we call leadership by example around here, and we hope that everyone in our community will follow their lead and help support the good work of the GCGH Foundation before 2017 comes to a close. Whether you’re already in the Christmas spirit, or still enjoying your stockpile of Halloween candy, make this November about gratitude and generosity and join our staff in making a difference in the health of Greene County! The Holidays can be like a mine-field for people with food-allergies or special needs. Parents of these wonderful people will tell you that avoiding the sugary treats and food dyes can be a full time job. Even a once-in-a-while treat can be bad for these folks. Gluten, peanuts, chocolate, dyes and preservatives – these things can not only make food-sensitive systems go haywire, they can cause all kinds of problems for kids on the Autism and ADD/ADHD spectrum. American culture is not likely to give up its love of sweet treats any time soon, so supporting those with food-allergies and other sensitivities means providing other options. The Teal Pumpkin Project is one way to do that. When Halloween rolls around and Trick-or-Treaters come knocking, displaying a teal pumpkin means non-food, allergy-friendly toys and treasures await. 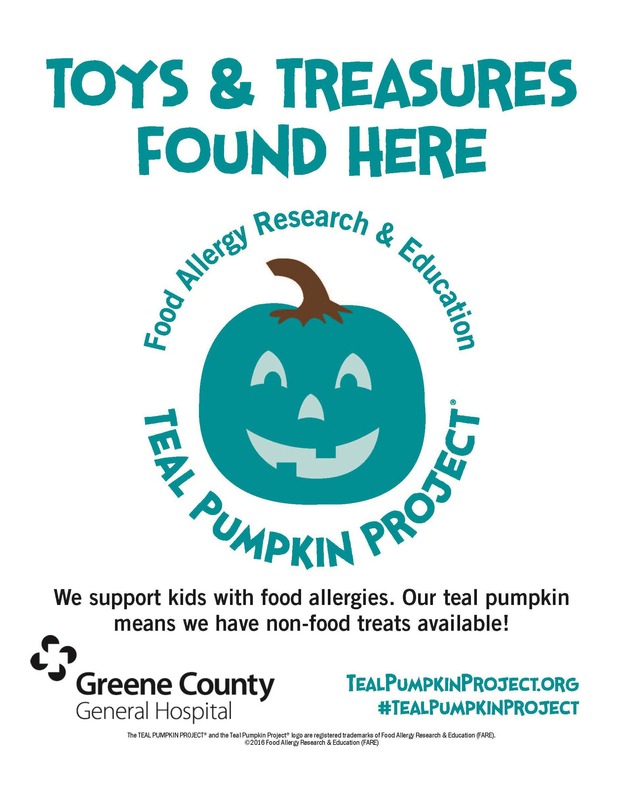 Greene County General Hospital is a proud supporter of the Teal Pumpkin Project and will have non-food treats for Trick-or-Treaters on October 28 and 31 from 6-9 PM, during the City of Linton’s scheduled hours. There will be a self-serve station inside the ER/registration lobby, and everyone is welcome to visit and choose a little something from the goodies on display. 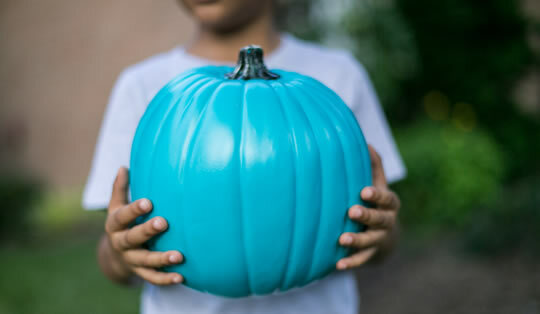 Learn more about the Teal Pumpkin Project by visiting Food Allergy Research & Education (FARE). There are tons of resources and great ideas to make your Halloween safe and fun for all. This article ran in the Greene County Daily World on October 10, 2017. It was a beautiful September day. Sunny and clear, the sky was a brilliant blue and the last surge of summer blossoms and produce made Linton seem like heaven on earth. There was nothing standing between her and a day of antiquing except a short doctor’s appointment to get the results of her annual physical and snag a flu shot. But her appointment wasn’t as simple as she had hoped. One word would change her plans for the day, the week, and the foreseeable future: cancer. The results of her annual mammogram had found a growth. The doctor said it was still small, still treatable, but still there. And instead of a day of shopping and a carefree evening of Miner football, she would be confirming insurance coverage, calling loved ones, and making appointments for treatment. Finish reading this article at the Greene County Daily World. Breast Cancer Awareness: Why 3D Mammograms? Cancer is the out of control growth of abnormal cells. We know it can start anywhere in the body, but when it starts in breast tissue, the earlier we find it the better the results. Annual mammograms for women age 40 and older continue to be the gold standard of care, and there are many women who have learned they have a cancerous growth after a mammogram even when they were not experiencing symptoms of disease. Traditional mammograms involve an x-ray of breast tissue, and that is aided now by computer aided detection that can point out areas of concern that might be missed by human error. Digital mammography allows for even better images for review, but the best and clearest images come from 3D mammograms. 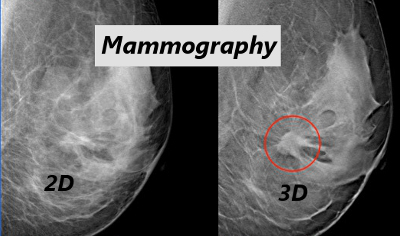 3D mammography takes multiple digital images from different angles and essentially creates image-layers of the tissue. The layers can be viewed individually or combined to create a 3D image that research has shown can find up to 35% more cancer in patients. That means life-saving treatments can start earlier and work better.